Ottersland Dahl family, of Gjettum, Norway (outside Oslo). 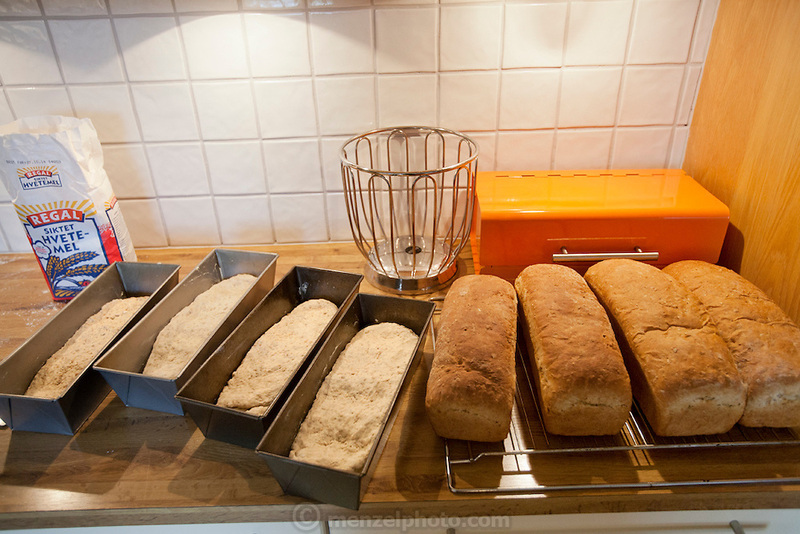 Fresh baked bread for family by Gunhild Valle Ottersland, 45. Model-Released.